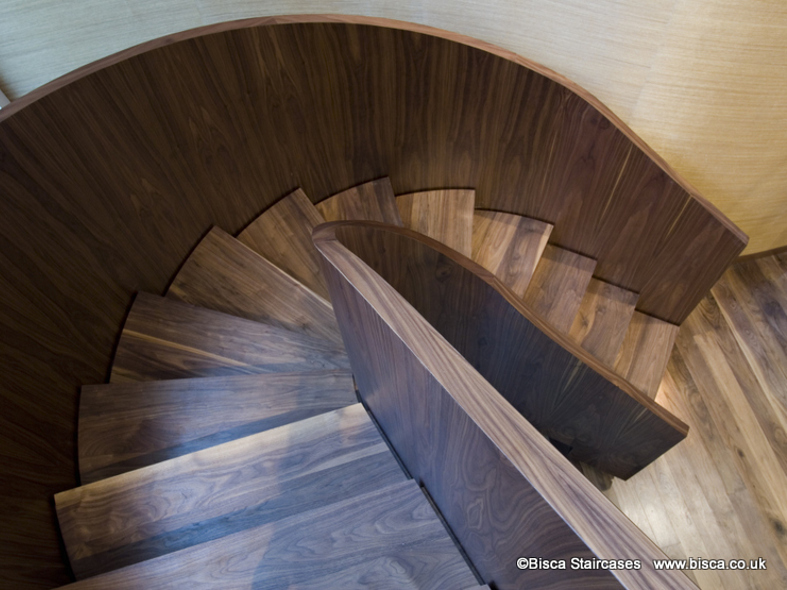 A very distinctive staircase of walnut veneer, designed for a property in Central London. 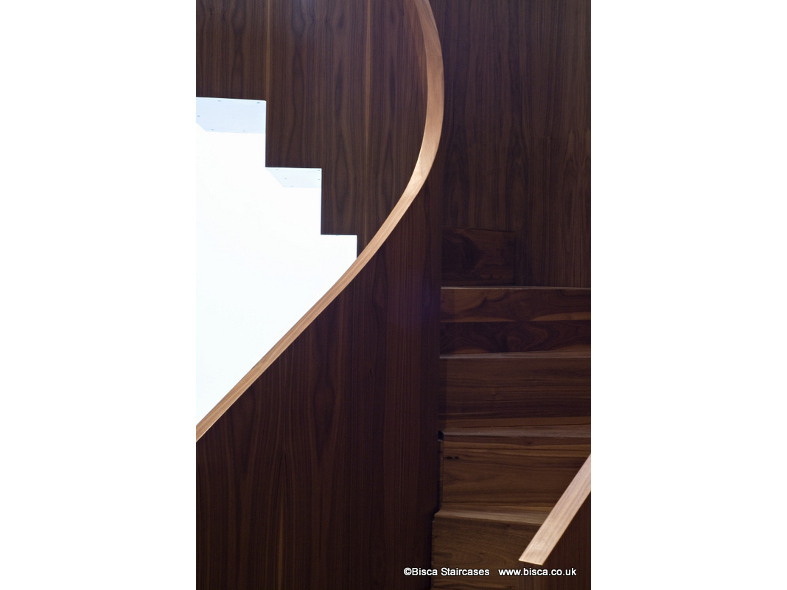 Continuous treads and risers of rich walnut are enclosed in a hand finished timber veneer clad balustrade, sweeping down from first to ground floor. 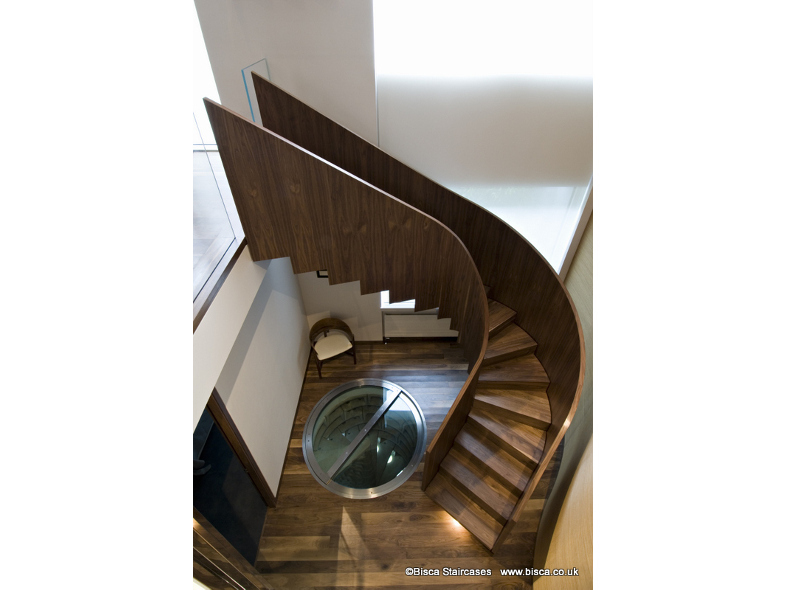 The challenge with this project was the position of the existing wine cellar hatch opening, which Bisca replaced with a flush glass swivel unit for ease of access. The bottom of the balustrade terminates in a striking saw-tooth edge, contrasting against the pale walls. If you are interested in this staircase design or the use of veneer in your staircase or balustrade project, please mention reference 2073. We will take care of the staircase design, from concept to installation with your approval at every stage. Our designers will resolve all aesthetics, fixings, materials, specifications, weights, head heights and regulations, to name just a few. We remain in constant communication with yourself and your project team so typical issues arising when a build or project gets underway, such as floor to floor discrepancies, wall thickness variations, material substitutions etc., are settled before the staircase or balustrade gets to site. If you would like to talk to us about a project, a concept design, or material to use with your clients, then please email us. 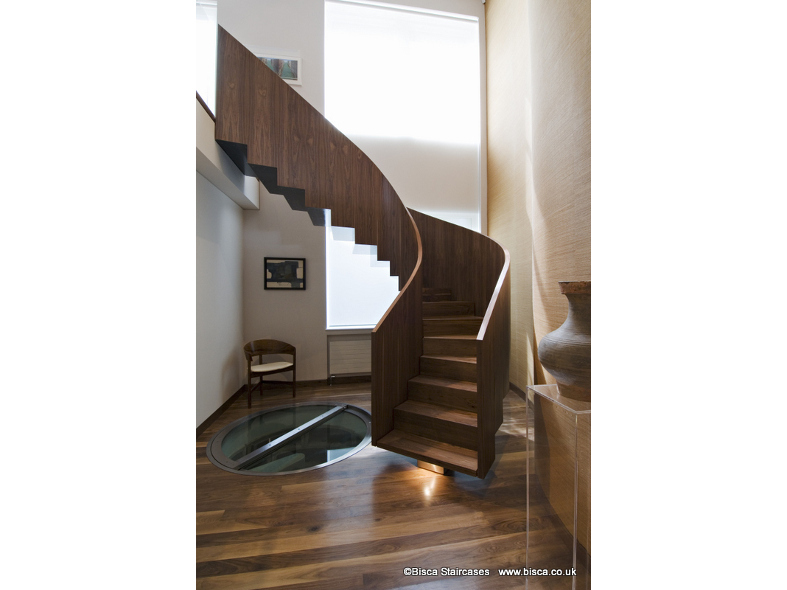 A modern, contemporary staircase for a London penthouse development.